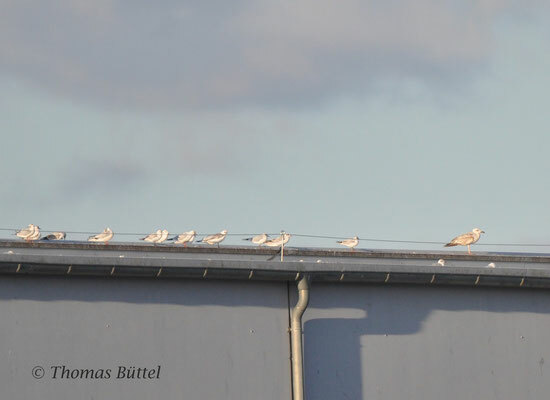 As mentioned yesterday I´ll come back to gulls. 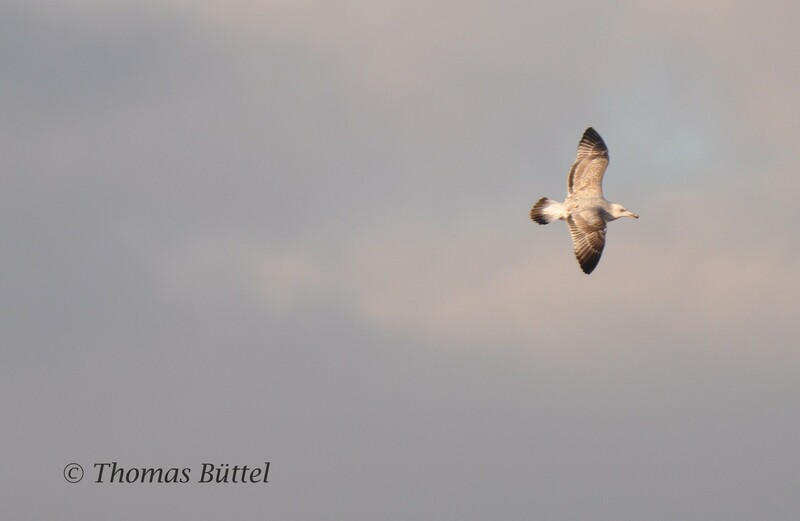 Finding interesting gulls in the inland is very tricky, especially because there are no major gull roosts, at least not in Franconia. However I found out that the harbour of Bamberg hosts a minor but occasionally interesting gull roost in the winter. Back in January I encountered some nice individuals there, even an immature Herring Gull, which is very rare here and for me the first of this age. Given the fact that I don´t see a lot of gulls, it´s obvious that I have also not much experience in identifying them and the only way to change this is to look at gulls, to look at a lot of gulls. Basically, this was my plan for today. 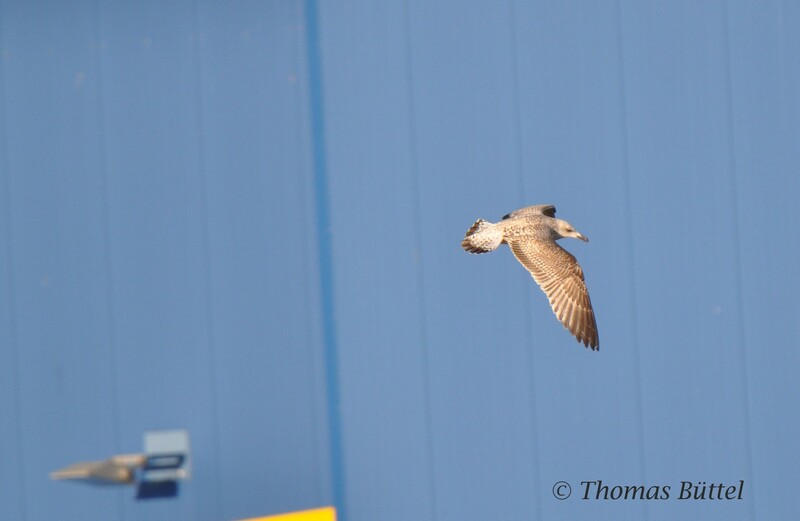 Altogether I spent four hours at the harbour scanning the gulls very carefully with my new scope. As expected the most (~ 700 ind.) were Black-headed Gulls, which are no ID problem at all. Among them I found also two Mew Gulls, both 1st winter birds. 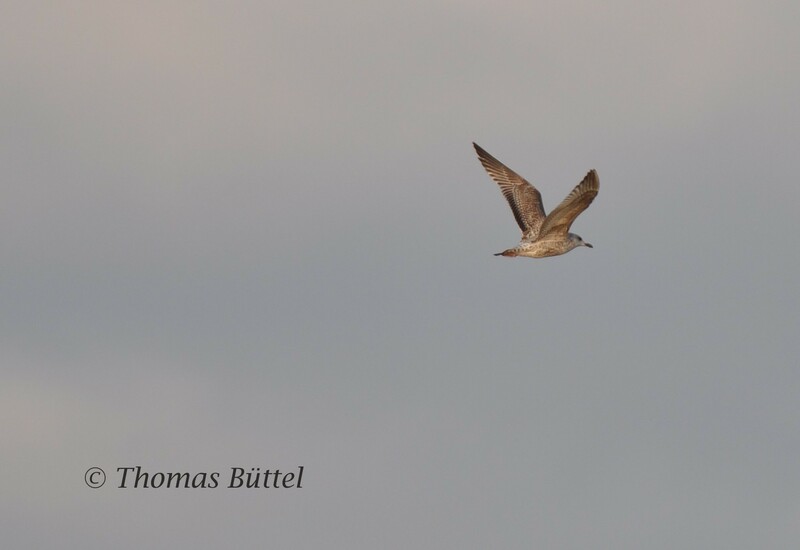 So far not so difficult, now the trickier birds are following: I was able to identify at least two immature Caspian Gulls, which are rather conspicious, since they are pretty long legged and have a flat forehead. As always there are some gulls which are not so straight forward. 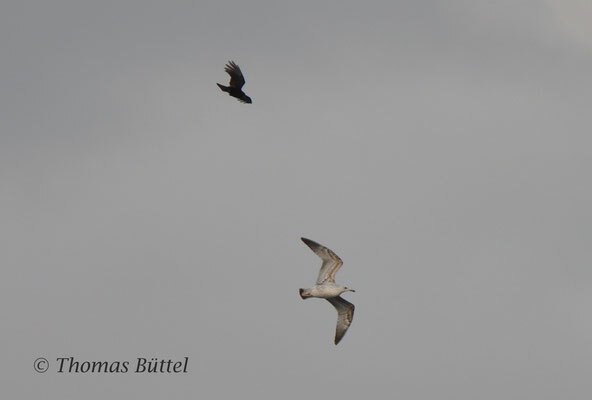 The first gull looks to me like a 2nd winter, because the scapulars are plain grey with some retained older ones. 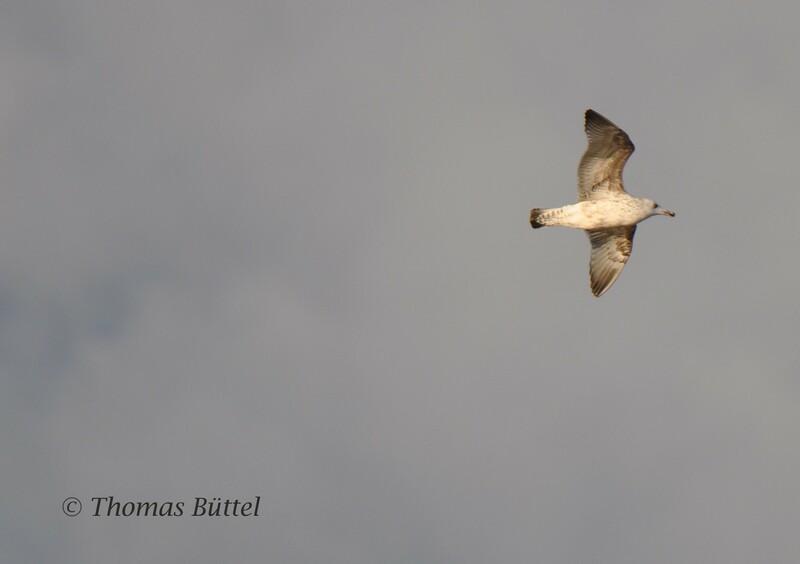 While the head seems rather fine for a Caspian Gull, the underwing shows too much brown for this species. The next option would be Yellow-legged, though these should still have a dark bill. Fortunately I managed some decent shots, perhaps someone has an idea? The second individual is a 1st winter. Since it was rather heavily marked on the underside, I thought of a Herring Gull or even a Lesser Black backed (even rarer). Despite the gull seems rather slim, which would indicate a Lesser Black backed, it shows a pale window on the upper wing, an absolute no-go for a Lesser Black backed. 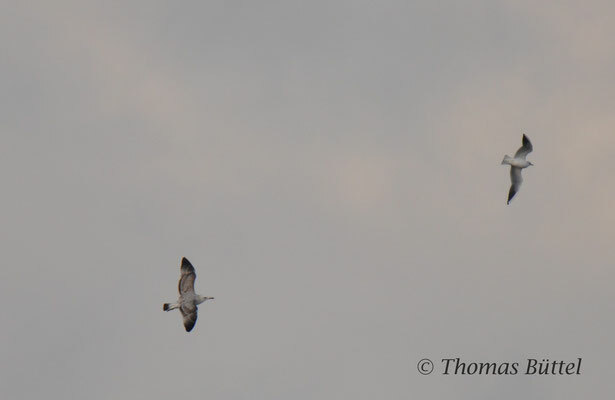 Nevertheless, the bill is dark and the 1st winter Herring Gull from the end of January had a much paler bill. Perhaps it´s a 1st winter Yellow-legged? All in all I had four educational hours and I´m very keen on returning and learning more about these gulls. 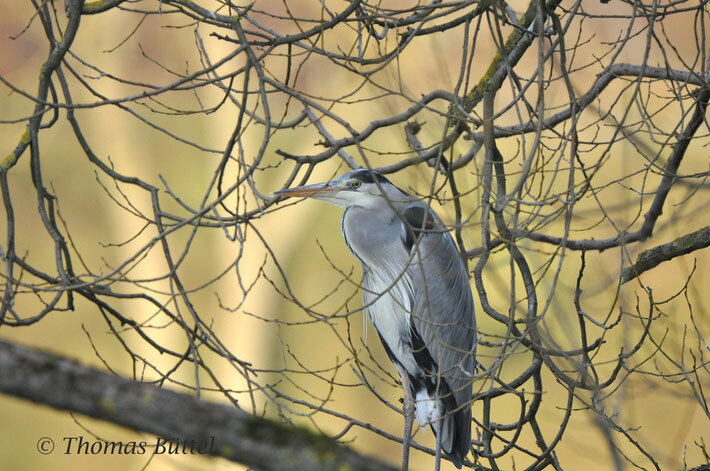 However I´m still very glad that there weren´t only gulls at the place, for example the Grey Heron below was a very welcome and an easy-to-identify change.